Take the Metroplex by storm with this Dallas Flyer, lovingly printed in black and white to summon the spirit of the old west. 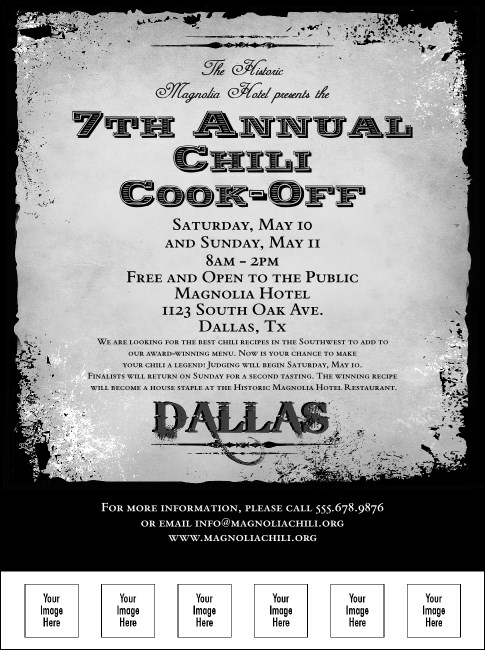 With a weathered, outdoorsy feel, plus twenty lines of custom text and space for six custom image uploads, it's an authentic way to spread the news about your upcoming event in Dallas, Texas. TicketPrinting.com strives to bring you the highest quality marketing materials at a price well below average.